Right now all the school mums seem to be busying themselves with booking up summer activities for their kids over the summer. I've held back a little, partly because not only are so many of the summer camps super expensive but it's lovely to be able to have the children around ( although I might not be saying that come August!) Well, Surrey County Cricket Club have got it spot on with their family friendly event. 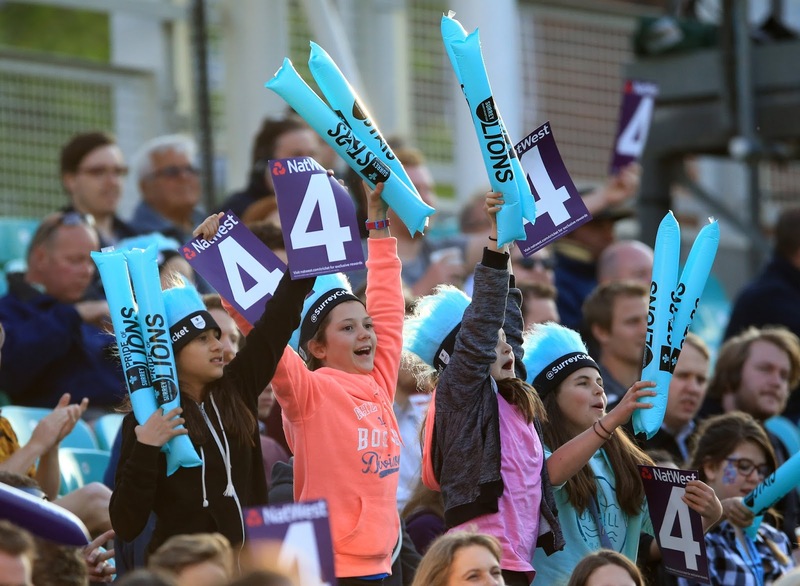 Children can go to any of their NatWest T20 Blast matches for just £1. 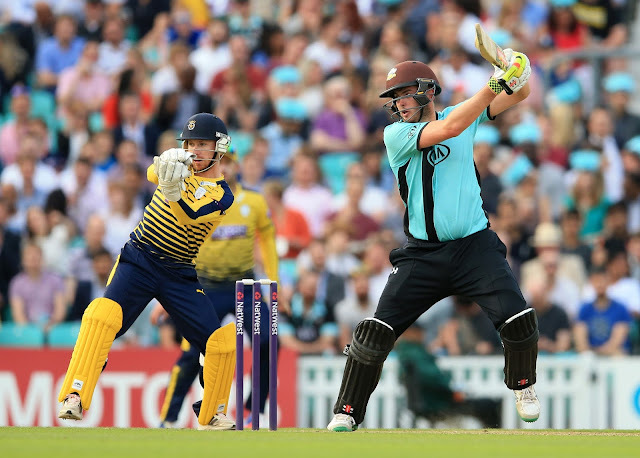 T20 is the explosive all action short form of cricket which has become hugely popular amongst younger audiences. Children's tickets are in the family zone where Kia Oval ambassadors will be at hand to make sure that families get the most out of their day out. Alcohol is allowed for adults ( Mr Jones whoops with glee) but bad language is not tolerated ( guess it's just going to me me and the kids then). They have organised plenty of food outlets that will be serving fish n chips, gourmet burgers etc but you're also free to bring along picnics, there's also a sheltered concourse in case of rain. There are also heaps of activities planned for the kids such as face painting, autographs with the players, free gifts and a chance for the children to play cricket against their parents. We can't wait, see you there! !